SALE OF TICKETS FOR 2019 JUST STARTED! In traditional pre-Christmas time we started the sale of tickets for the next Czech edition of the UCI Mountain Bike World Cup, which will take place on May 24 - 26, 2019 in the popular venue of Vysočina Arena close to the town of Nové Město na Moravě. Tickets can be used as an original Christmas gift. It will delight passionate mountain bikers as well as general cycling enthusiasts and also big sport fans who all will enjoy the fantastic atmosphere of a world-renowned race. Tickets are for sale online here. Friday, May 24: XCC Short Track: Women Elite / Men Elite, FREE ENTRANCE. Saturday, May 25: XCO Cross-country: Junior Women / Junior Men / U23 Women / U23 Men, FREE ENTRANCE. 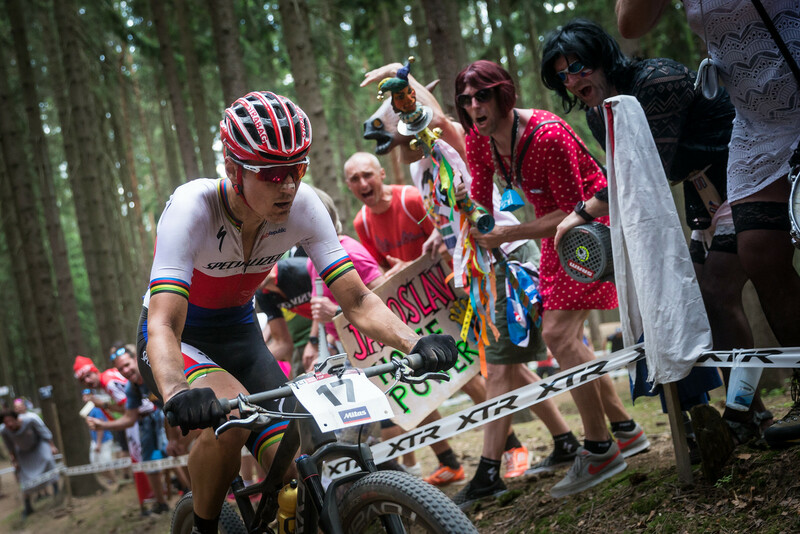 Sunday, May 26: XCO Cross-country: Women Elite / Men Elite. See you in May in the Vysočina Arena?